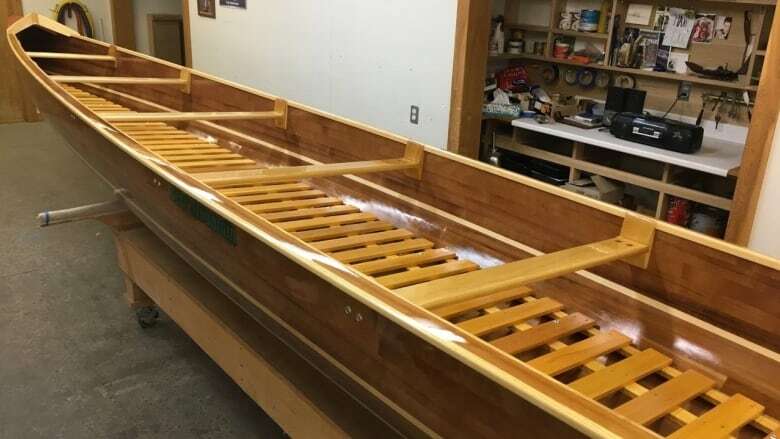 Dartmouth's Banook Canoe Club is awaiting the delivery of its new war canoe, described as a "beautiful, beautiful" boat, at the of this month. 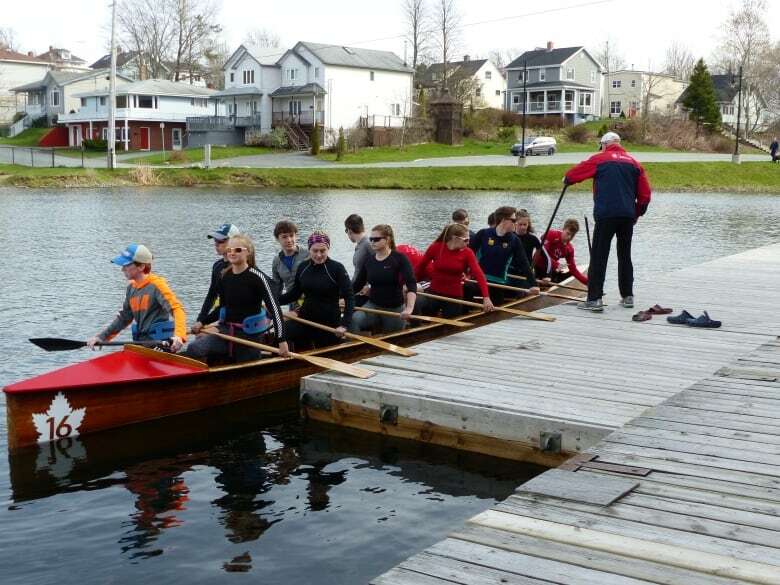 The Banook Canoe Club in Dartmouth has a new war canoe, a 15-person boat that the chair of the club's paddling committee describes as "a work of art." "They're beautiful, beautiful boats," Michael Traves said of the oversized, cedar-strip canoes during an interview with CBC's Information Morning. They don't come cheap. Club members raised approximately $25,000 for the boat which was built at Bear Mountain Boats in Peterborough, Ont. Traves spearheaded the fundraising campaign for a new war canoe after it became apparent old boats were putting the club at a competitive disadvantage. In 2000, the standard design for a war canoe in Canada changed, he said, and the newer models are "a little faster." The club had four war canoes, the newest of which was approximately 40 years old. That put them "about 15 years out of date," Traves said. 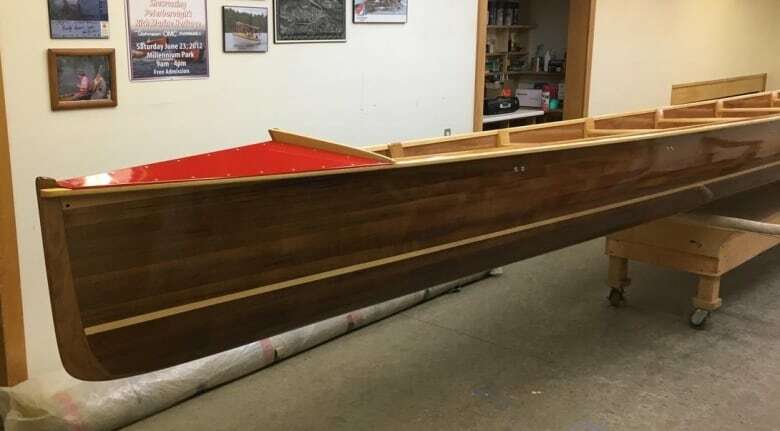 The new boat is expected to arrive in Nova Scotia by the end of May, after which there will be a grand unveiling at the club. 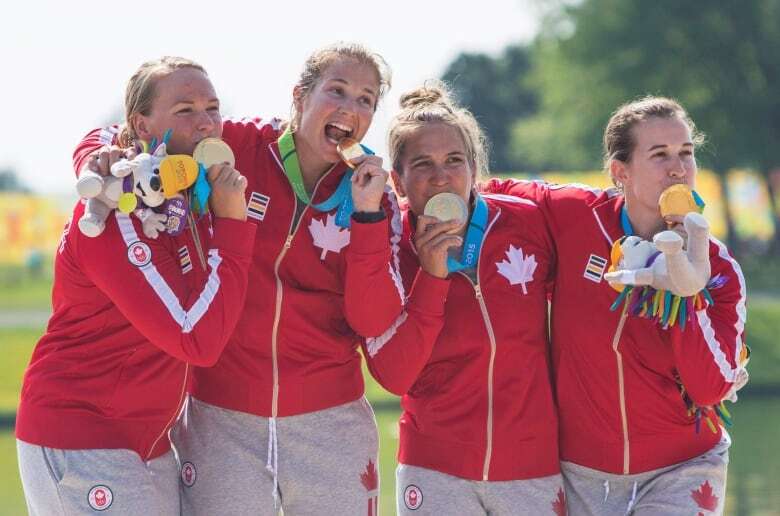 War canoe racing is a "very Canadian" thing, said Dartmouth paddler Hannah Vaughan, a Pan American Games gold medallist. The sport doesn't exist anywhere else in the world. 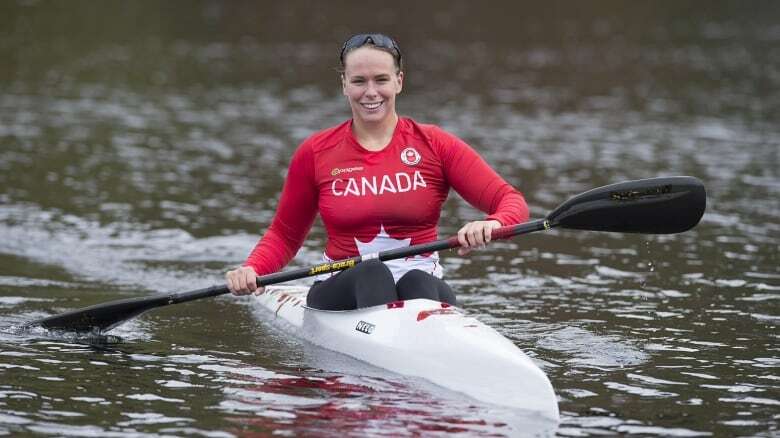 Vaughan, 28, who retired from the Canadian kayak team in early May, said she grew up watching war canoe races on the shores of Lake Banook. "Being a part of that energy is something that's really special every time." The sport requires 14 paddlers "going as hard as they can," plus a coxswain who steers from the back of the boat, Vaughan said. Race distances range from 200 to 1,000 metres. The value Canadian paddlers place on the war canoe events is hard to put into words, she added. "It's really a point of pride to win a war canoe race," she said. "It's such a part of what we do." Traves said there are different age categories, but the sport is very inclusive because it requires the participation of so many. Most athletes wouldn't make it to nationals in a single boat — you have to be the best of the best for that, he said. But when you get into a war canoe, there's more room for variation in ability. "Often times you could get a boat where none of them are world-class paddlers," Traves said. But as a team, "they can actually do better than some of the boats that have some hotshots in them."